Nannies do so many different and wonderful things to make life easier for the families who employ them, and that often includes running errands and driving children around. 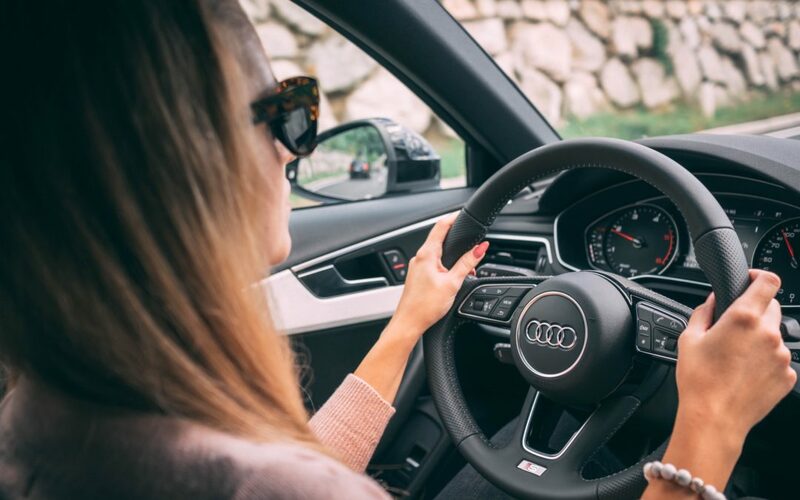 Whether it’s dropping children off at school or carting them to an extracurricular activity, the time nannies spend driving their personal cars at work is valuable, and it should be accounted for. In the state of California, employers are required to reimburse employees for any miles driven in their personal vehicle while they’re on the clock. Luckily, the process of tracking miles and paying out mileage reimbursements is not that complicated. The IRS sets a standard mileage rate each year that employers can use to determine how much to reimburse workers for each mile driven on the job. The great thing about this standard rate is that it factors in all of the expenses associated with owning and operating a car, so there’s no guesswork involved. According to the IRS website, the standard rates for mileage reimbursement factors in the fixed and variable costs of operating a vehicle, including things like depreciation, insurance, repairs, tires, maintenance, gas prices, and oil changes. Last year, the standard rate was 54.5 cents per mile, but as of January 1, 2019, that rate was bumped up slightly to 58 cents per mile. In order for mileage reimbursements to work, nannies need to keep track of every single mile they drive in their personal vehicle while they’re on the job. This includes going to and from schools, parks, play dates, grocery shopping, and even small errands. There are a few easy ways to do this. One option is to create a shared spreadsheet on a server like Google Docs, where both the nanny and the employer have easy access to it. Each day, nannies should log their total miles driven so the records stay accurate and up to date. Another option is to use a phone app to track miles, and there are several different ones available. Stride Tax is a free app that can run in the background on your phone and actually log miles in real time. It can also be set up to log other business expenses, if a nanny is tracking food costs, phone minutes, or any other billable expenditure. Hurdlr is another free option that also has the ability to track additional expenses. There are also paid apps, like MileIQ, which can track up to 40 trips per month for free and costs $6.00/month after that. The app creates convenient weekly mileage reports that can be easily shared with an employer. Probably the most comprehensive tracking app is Quickbooks Self-Employed, which costs $10.00 per month but has additional functions that can apply to other aspects of business as well, such as tracking payments and estimating quarterly tax deductions. How often a nanny turns in a mileage report will depend on how much driving is happening. If a nanny is driving daily, such as picking kids up from school, then typically he or she would turn in a weekly report to their employer. If a nanny is driving less often, the reports might be filed every two weeks or monthly, depending on what the nanny and parent discuss and decide together. Typically, reimbursements are totaled for each pay period and paid out along with a nanny’s standard paycheck. One important thing to note about mileage reimbursements is that they are not taxed. As Chelsea Mills, a senior partner relations specialist for Home Pay, explains, mileage reimbursement is considered a “fringe benefit,” meaning it is tax-free for both the employee and the employer. The one caveat to this is that employers cannot pay more than the standard reimbursement rate, otherwise that additional money would be subject to taxes. Though mileage reimbursement is mandatory in California, using the rate determined by the IRS is not. Some families may opt to make allowances for mileage in other ways, such as by paying the nanny a flat rate stipend for driving, covering the cost of gas and car maintenance, or by compensating for the mileage by offering a slightly higher rate of pay. Of course, if you opt for any of these alternatives, the appropriate taxes will still need to be calculated.